Miami (AFP) - When honey bees die before their time, the younger bees among them try to forage for food but often fail, contributing to the worrying phenomenon of colony collapse, researchers said Monday. Scientists are studying a range of factors -- from the use of pesticides to loss of favored plants to disease -- as they try to understand why these important crop pollinators are declining worldwide. The latest study in the Proceedings of the National Academy of Sciences points to a social breakdown in the hive as yet another contributing factor to colony collapse disorder, or CCD. Researchers in Australia, Britain and the United States attached radio trackers to thousands of bees to study their movements. 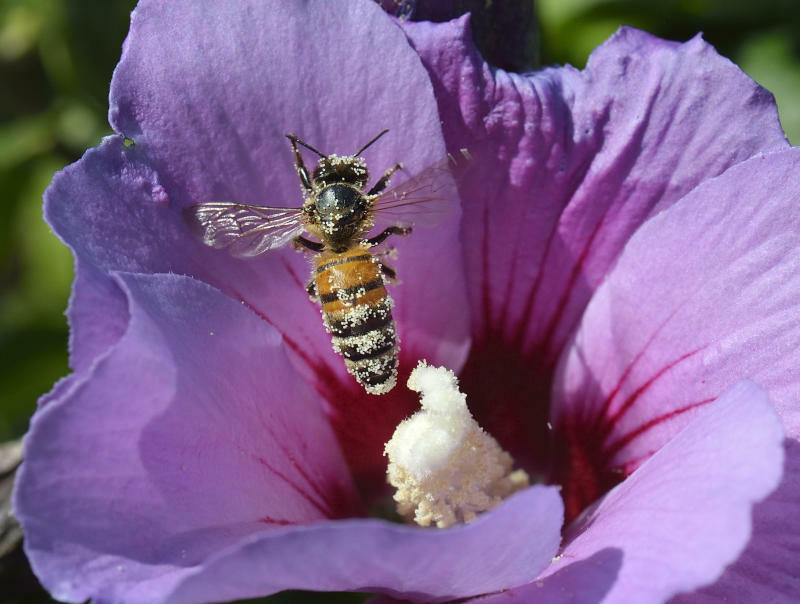 Bees usually begin foraging when they are two to three weeks old, but when the colony is hit by disease, a lack of food or other chronic stress factors, the older bees die. Younger bees try to replace them in their efforts, but are less likely to complete their foraging flights, and are far more likely to die during their first trip, they found. "This younger foraging population lead to poorer performance and quicker deaths of foragers and dramatically accelerated the decline of the colony much like observations of CCD seen around the world," said the study. "Young bees leaving the hive early is likely to be an adaptive behavior to a reduction in the number of older foraging bees," explained Clint Perry from the School of Biological and Chemical Sciences at Queen Mary University of London. "But if the increased death rate continues for too long or the hive isn't big enough to withstand it in the short term, this natural response could upset the societal balance of the colony and have catastrophic consequences." Researchers still do not know how to prevent colony collapse, but they may be able to get a good sense of the overall health of a hive by tracking the age at which foraging begins, he said.